For each of three holiday events we’ve attended over the past couple of days, I’ve been asked to bring my hummus. I’ve always liked it, but this proves others do too. Sometimes you have to listen to the people. If feelings can be had for hummus, mine would be labelled strong. 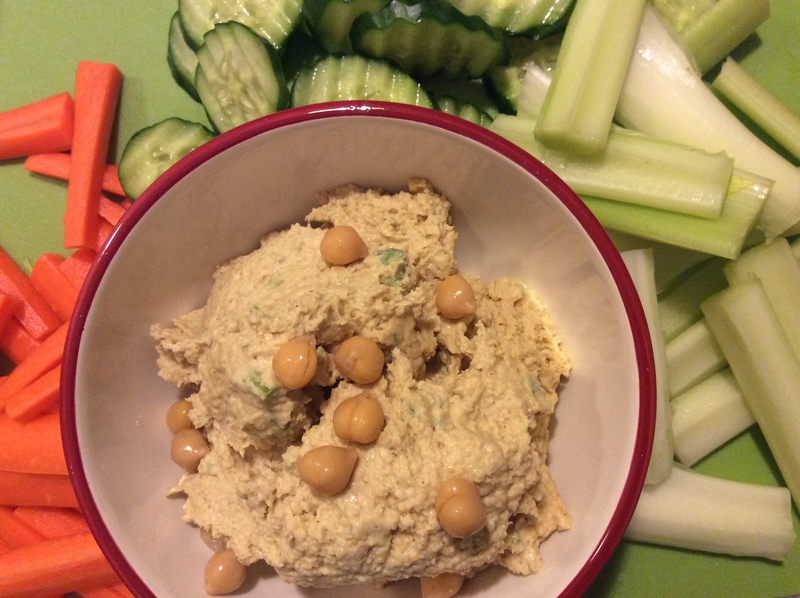 I believe that hummus is one thing that should always be made at home. For one thing, it’s super easy. For the other, the stuff in the stores just doesn’t cut it. I know that because I’ve broken my unwritten rule enough to have tried them all. Hummus is a magical snack because it’s easy to grab and go, it’s satisfying and offers a good dose of protein and fibre. Pro tip: pair it with cut veggies and it’s a great make and take for parties and other events if you want to make sure there’s something for you to munch on if you’re adhering to a limited diet. I also like to make up a batch at the start of the week for mid-afternoon hunger pangs at the office and/or to dollop on top of a salad or dinner bowl. Heat a drizzle of olive oil in a frying pan and saute the onion and whole garlic cloves for a few minutes. Remove from heat. Add all ingredients into a food processor. Process until smooth. Garnish with chick peas you set aside before processing. 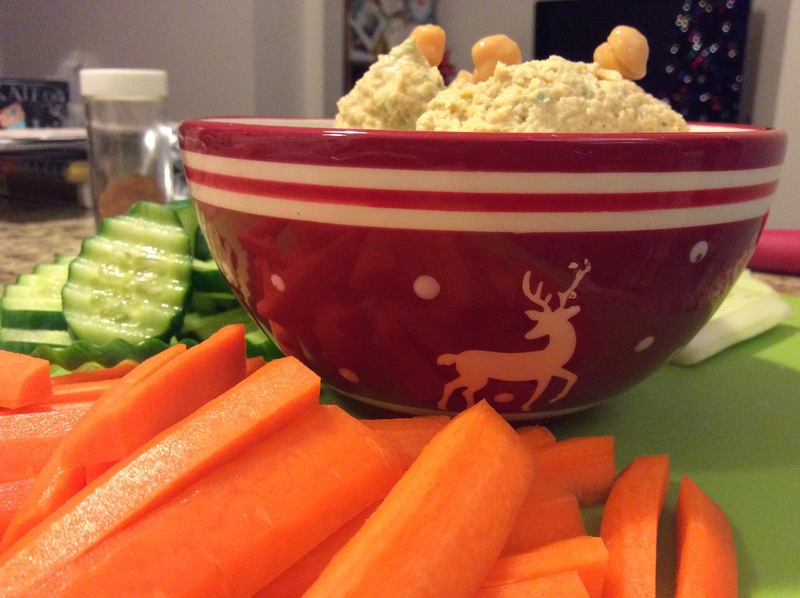 Serve in cute bowl with veggies, crackers or pita.